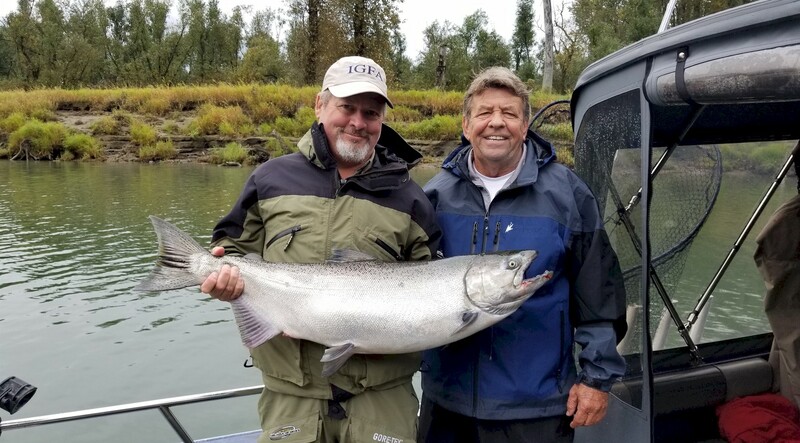 With the advent of the very busy holiday season nearly upon us, we would like to take a moment and reflect on the year that was… Many special moments were made this year, from the first time angler who caught his first Salmon to the returning angler who finally landed their 8 footer after years of chasing Dino’s and even the first fly cast by some. 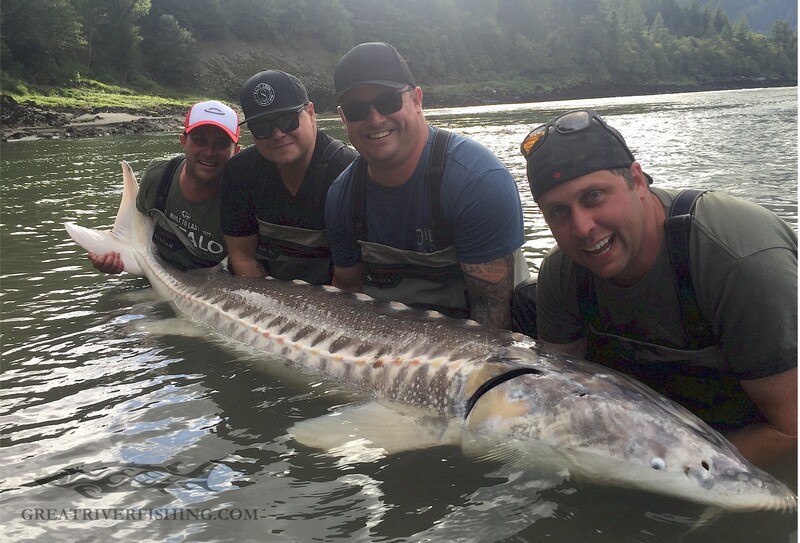 We really love to share the passion and common bonds that all anglers seam to have. It is you we thank for believing in our team to make your dreams come true. From the entire team at Great River Fishing we would like wish you and yours a wonderful Holiday Season and a Safe, Healthy and Happy 2019!! Looking forward to fishing and seeing you next season! This year saw temperatures stay stable and water levels were as close to “normal” as one could hope for. With an above average snow pack the rivers saw an early freshet and rose to capacity by the second week of May. 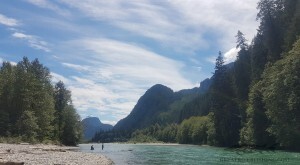 It was a large run off for most rivers, particularly the Fraser however it spiked early and dropped fast leaving the rivers in prime shape by the end of June, a few weeks earlier than anticipated. 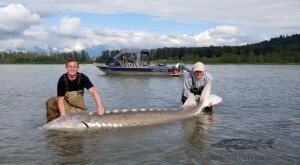 Last year was an exceptional year for all things sturgeon. 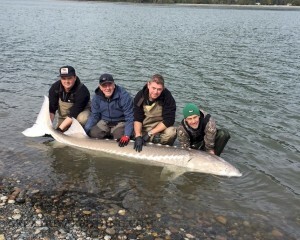 Once again our earliest 10 foot plus sturgeon was landed and released towards the end of April. 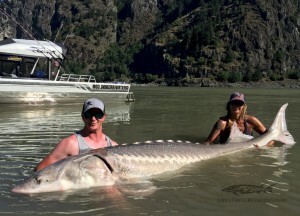 This 10’4″ behemoth was followed by another 5 sturgeon over the magical 10 foot mark for a total of 6 up to date! In fact the average size this year very impressive with a plethora of 7 to 9 footers coming on a daily basis. 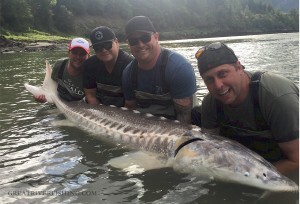 Prior to freshet the Fishing in the lower reaches of the Fraser was phenomenal. Double digit numbers were the norm instead of the exception and it was not uncommon to see multiple double headers on the same day!! In fact triple headers were common place!! 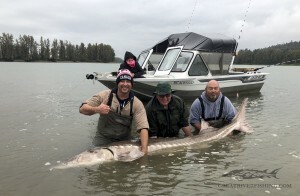 As the waters rose through late April the big boy’s started biting as the fish left there wintering holes a little early and spread out as the waters warmed and filled the back waters of the mighty Fraser. Early June saw the River peak at just over 9 meters and then quickly subside. Again, this was a very early freshet and normally the Fraser does not start rising until mid to late May and comes down sometime between the last week of June and the first week of July. Even with the high water we had one of our best ever fishing results through June! The fish were ultra-active and put up spectacular aerial fights. The summer was a warm and pleasant one with normal temperature and the forest fires were not as bad as the year previous leaving the sky’s beautifully clear. Fishing remained good and then got very good as the much heralded “4 year high” run of sockeye came in to the system. Sturgeon flipped the switch at the end of July and started actively seeking out these delicious salmon. 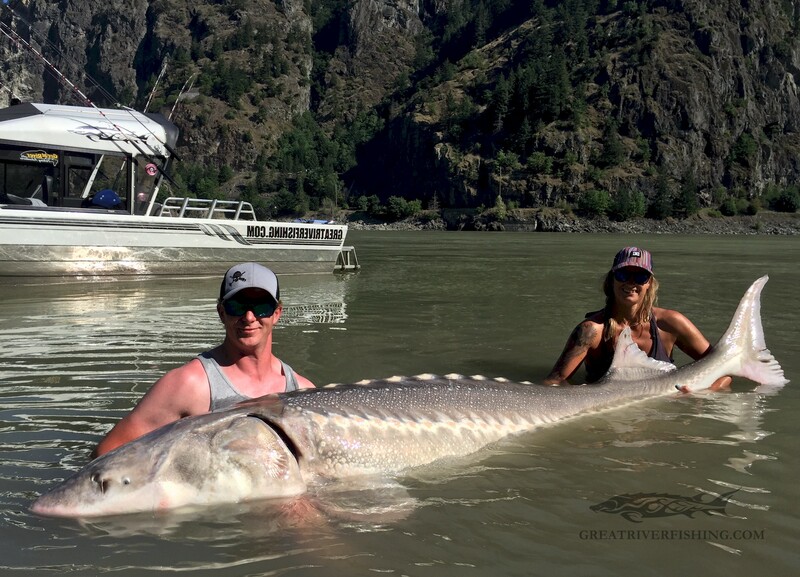 The Canyon portion of the Fraser River fished exceptionally well in 2018. 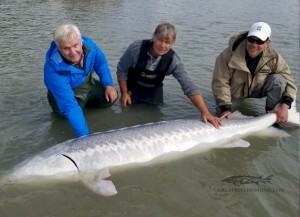 This special piece of water arguably produces more large sturgeon specimens than anywhere else in the world and it definitely lived up to it’s reputation this year. 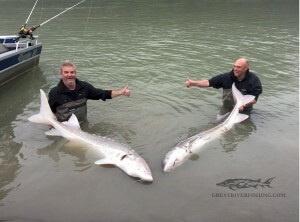 The consistency that 7 foot plus fish were being landed was unprecedented. It seemed that for very long stretches all of our boats that run the canyon were landing fish of this magnitude on a daily basis! The Canyon also fished well right from April through October. With the sockeye numbers through the roof the fish really stacked up in the Canyon. 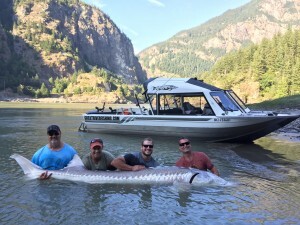 The run remained strong right through September holding the fish in the Canyon. Numbers were above average right to the middle of October. The Pitt River started out early this year with the river going in to freshet and becoming jet boat-able at the end of April. 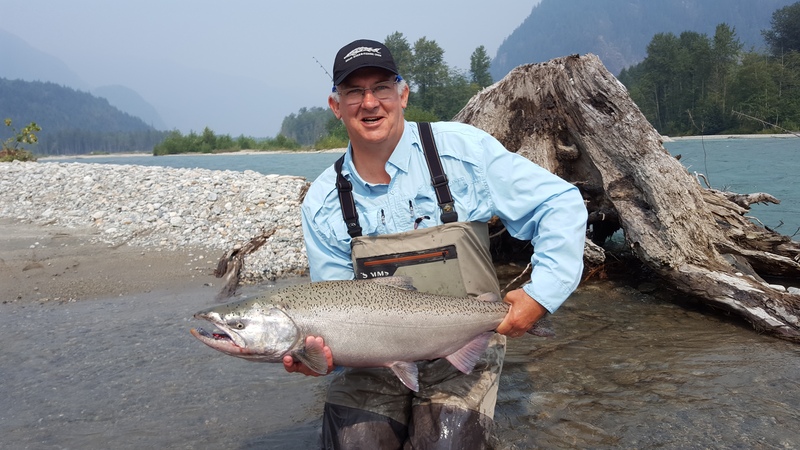 Trophy sized Sea Run Bull Trout came in decent numbers early and continued through June. 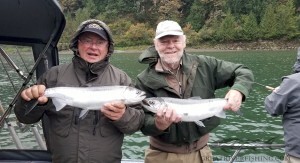 July saw a size blip as the average size of the fish came down, and then the salmon came towards the end of the month. 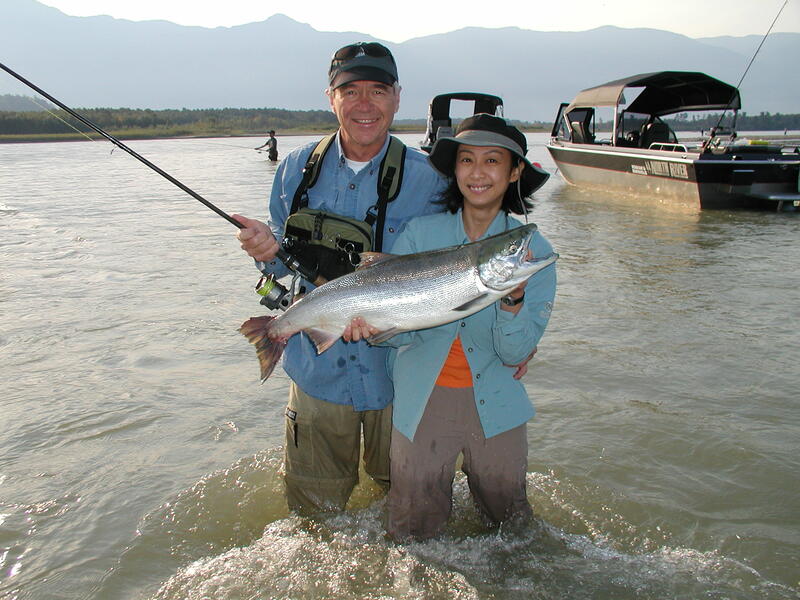 This was definitely a decent year for both sockeye and chinook fresh from the ocean and eager to chase a swung fly. True trophy fishing at it’s finest. The river dropped early and getting into the upper reaches via jet boat became difficult as bars and log jams crowded the river in the middle stretches. Fishing remained good until Mid August and then dropped off as the glaciers started to freeze up overnight. Sockeye opened up for the sports angler in the middle of August! 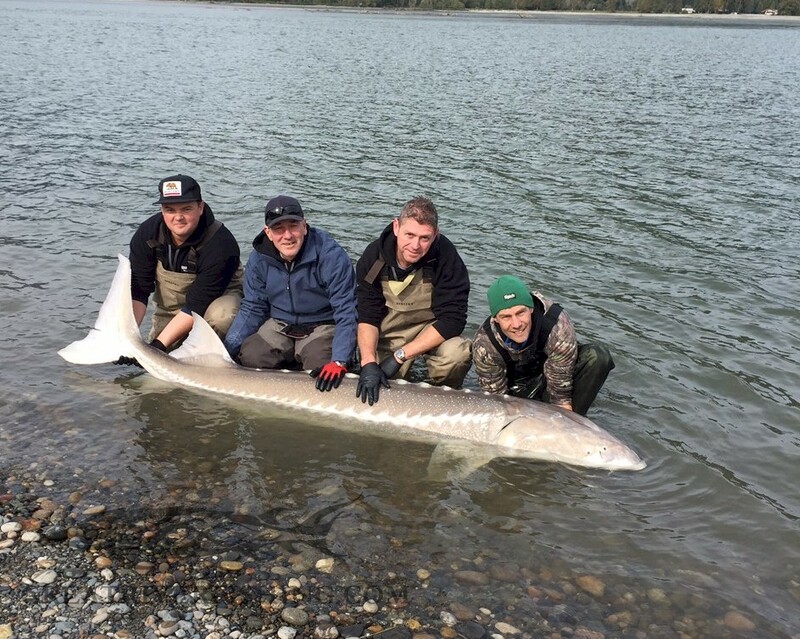 This was the high in their 4 year life cycle and with an estimated 15 million fishing coming in to the Fraser the fishing was excellent. 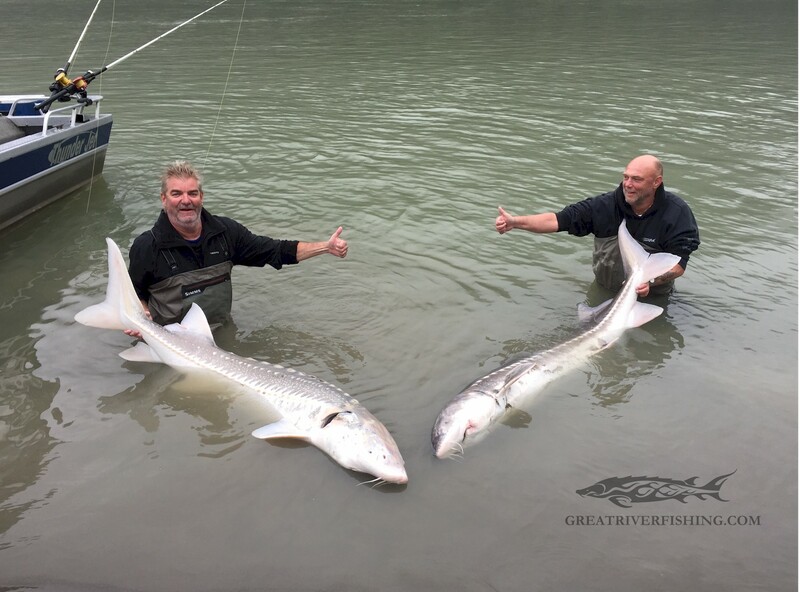 This special fishery held on into the first part of September. Chinook were also in the system in decent numbers and we were able to target them alongside the sockeye. 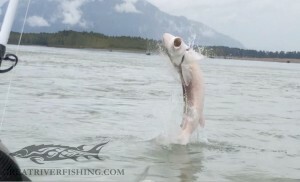 Next year is also a Pink Salmon year once again! These feisty battlers start to enter our rivers towards the end of August and are typically in full force by the first week of September. They make for phenomenal sport on light to medium tackle and attack both flies and lures with reckless abandonment. They also spur the sturgeon fish like no other salmon as they enter in huge numbers and most spawn out in the Chilliwack area. Once again Thanks’ every one for making the 2018 fishing season such a success and we look forward to seeing you all in 2019! Have a splendid holiday season and here’s wishing everyone a prosperous and fish filled New Year! Cheers!